It was the end of our first week in Nova Scotia and we were about to depart from Big Intervale Fishing Lodge, a lovely place on the banks of the Margaree River on Cape Breton Island. After several days of driving hundreds of miles in multi-hour chunks and not having cast a fly yet, the thought of getting in the car yet again was making us a little cranky. “That’s Nova Scotia,” said Ruth, who owns the lodge with her husband, Hermann. Damn right it was. The driving seemed endless, but the scenery and the fishing made it more than bearable. Holy crap, monster brook trout fishing in Labrador! The first day of 2011 — New Year’s Day — I caught one fish, a 15″ rainbow in Big Stony Creek near Edinburg, Virginia. That was the first time I’d ever gone fishing on New Year’s Day. I got him on a Copper John, and it was the nicest rainbow I’ve caught so far (I know, I have to get out and try for rainbows a little more often). Big Stony Creek is a nice stream. 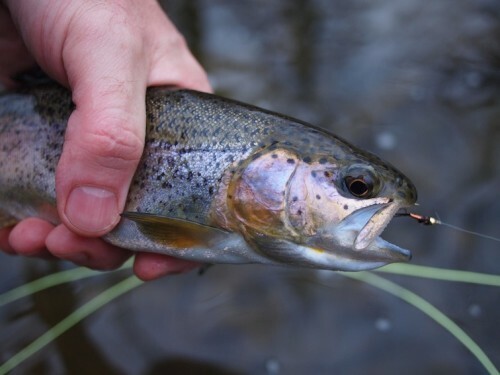 It gets stocked by the Virginia Department of Game and Inland Fisheries a few times each year but it also seems to have a population of holdover trout. Some of its tributaries, I am told, also hold some nice brook trout. This is something I am going to have to discover this year. Robinson River Brookie - may be actual size! Brook trout fishing, which is for some strange reason still my first love, was excellent. I got to Shenandoah National Park at least a half dozen times to catch fish, plus a couple more times to scout Indian Run and Overall Run. I’ve since learned some things about the latter that give me hope it will be a decent stream to fish someday, but for me those two streams were a bust. But the Piney River, Hughes, North Fork of the Thornton, Jeremy’s Run, The Robinson River in White Oak Canyon, Cedar Run and one stream I still hesitate to name were often excellent. 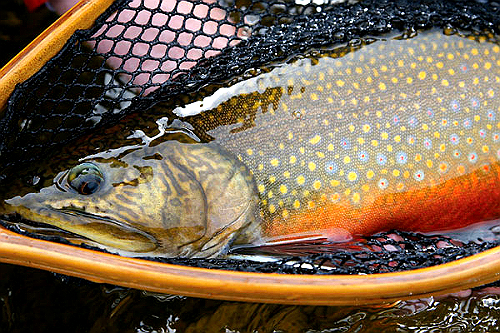 Beginning on the no-name stream in late February I caught three nice sized brookies on an Adams. Dry fly fishing in the winter, that’s it! And it just got better all season. In the Poconos I caught about five fish from one pool on a small mountain stream, all over ten inches and the biggest going about 12″. A twelve inch brookie in a small stream… THAT was nice! In May I finally checked out the pond near home that I’ve been driving by for years. In a half dozen trips in spring and early summer I caught dozens of bluegill and largemouth, and one fallfish. Nice evening getaway in only a ten minute drive from home. I’d sit out there from an hour or so before sunset until the posted clear-out-of-here time (darkness), throwing micro poppers on my four weight to aggressive bluegill, or bigger poppers with my five weight Sage FLi (still love that rod once you get used to its tip-flex action) to decent sized largemouth. This year I’m going to return with a proper deer hair bass bug and see if the REALLY big bass are really in there. Also in the spring I got up to Thurmont, MD a few times. 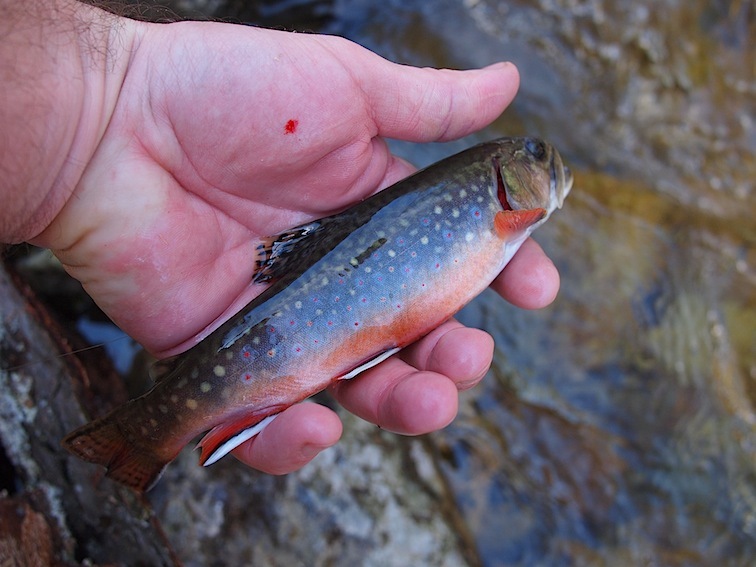 I hooked two brown trout in Big Hunting Creek (what a nice place) and found a stream not far from there where I landed a couple nice brook trout. This is another area that merits further exploration. I drove around quite a bit and decided to check out a couple streams right next to the roads I was driving. Picked up the brookie in the photo literally right next to the road where I parked. I can’t give that one up — you’ll have to find these spots yourself. Thirty inches of pike fury. In July I went to Canada with some friends to fish Gananoque Lake. My fly fishing was limited by their desire to not have a fly line whizzing by their heads with four of us on a pontoon boat, but I did manage to use it once with them tolerating it and a few times on the dock, catching some nice sized bluegills and one good crappie. In the boat with the spinning rod, I caught the largest smallmouth so far (about five pounds!) and my first pike, going 30″. Those both made the trip worthwhile, along with the other catches. Next time, I’m going to chuck a full sinking line over the side with a meaty pike fly. Those guys will get used to it. Another first (maybe I should call this a second) was returning to the place I caught my first fish when I was six years old, Round Valley Reservoir in New Jersey. My dad and I made a hot summer day of it, hitting it and later that day the South Branch of the Raritan in the morning and afternoon, respectively. Another skunking but I think I know what to do when I return there this year (i.e. 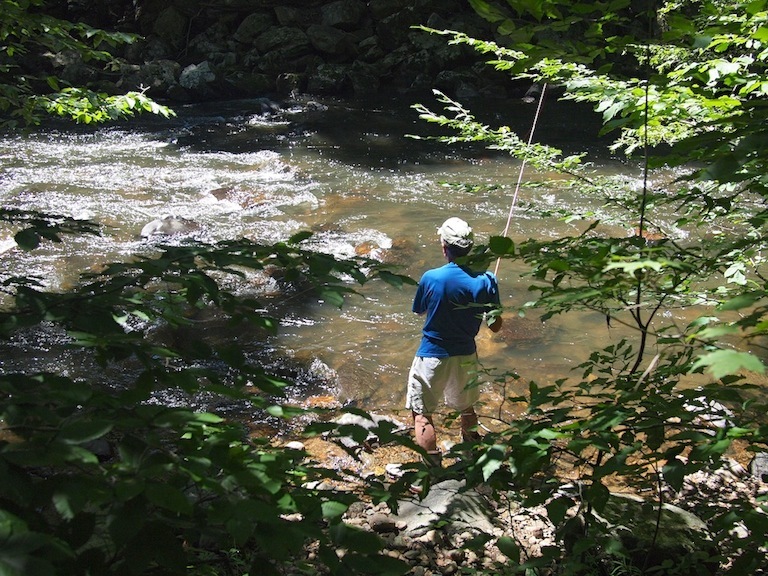 don’t go on a hot bluebird day in summer — hit Round Valley by boat, too, not from shore, and early or late; return to the Raritan to catch some trout in the springtime… etc.). Of course, living near the Shenandoah allows me to go out in the kayak or wade near shore and catch smallmouth, catfish, carp and bluegill. Haven’t gotten a carp yet, but I’ll talk about that more in my 2012 post. I even wet a line in the Potomac for the first time ever. Skunked, but for a high muddy water day I wasn’t expecting much. My plans for shad fishing were scuttled by our incredibly wet springtime, and I still have not gotten down there to catch some rockfish as we call them here, or stripers if you’re from up north. I will be doing all that this year if the creek don’t rise. Late in the summer I attended a two hour casting clinic with fly fishing instructor and guide Dusty Wissmath at Kelly’s White Fly Shop in Shephardstown, WV. Dusty is a fantastic casting instructor. He focused on a few key points, and though it was geared towards beginners he spent some time separately with me (probably a good intermediate caster) and that was very valuable. I highly recommend attending any instructional clinic with him, and based on that one, I may try to do a guided trip with him. The year 2011 found me distracted with photography. I’d gotten into it off and on in years past but the past two years I’ve really taken to it, 2011 especially. That and my son’s sports schedule kept me busy and mostly away from fishing in the fall. The last week of the year I managed to get another milestone — my first saltwater fish on a fly rod in the Mosquito Lagoon in Florida. Had my casting been better I’m sure I could have boated a few more fish but as it was I hooked a few and boated one nice redfish. 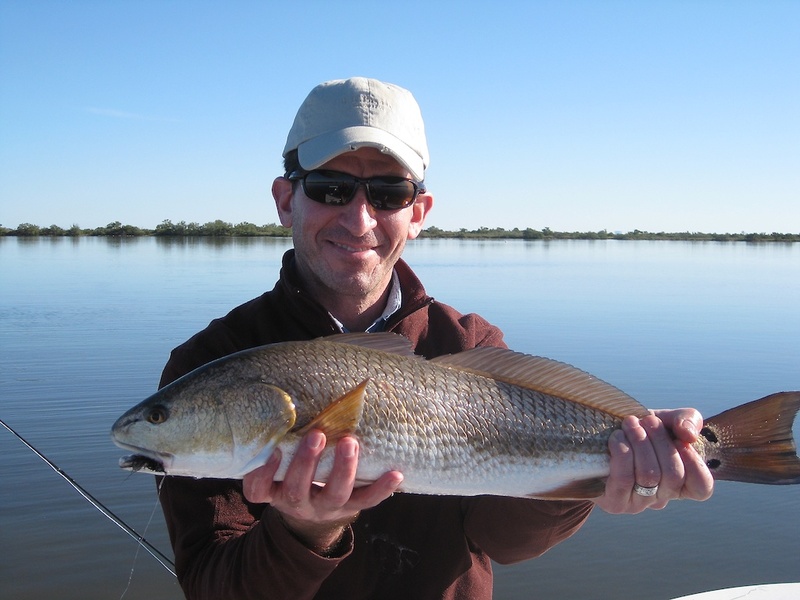 Redfish! I can’t wait to go back and do that again. By the time 2011 ended I filed away fishing licenses for Maryland, Canada, Pennsylvania and New Jersey. Thankfully Virginia doesn’t issue their licenses on a calendar year basis so the freshwater and trout licenses are good for me until mid-2012 or so. Maryland and Pennsylvania will be renewed right away, the others as needed. Lovely brook trout here in the east, nasty invasive creatures out west. And they use those brook trout for bird food in Alberta! That has to be a frigid swim. Fortress Lake in Alberta, Canada, with 3 to 6 POUND brook trout cruising around. Summer is officially over, and that means the same for my long hiatus from work and this blog. You see, over the past couple months I took some time off. My travels brought me to some brook trout as well as some real big fish, and also to some incredibly tiny fish. First, the brook trout. As usual, each summer I spend some time in the Poconos, a wooded expanse of hills and water in northeastern Pennsylvania. In only one of two trips I took to catch some brookies in the past two months I managed to catch ten fish in one afternoon on a small creek near the cabin we go to each summer. It was crazy. These fish were all in two pools that I always hit on this stream, and for some reason every one that I got to my hands slipped out. Camera shy I’m sure. Totally annoying and yet amazing fun all the same. This included what was the biggest brook trout I’ve ever had in my hands, easily over twelve inches and possibly larger. This was one of only a few times I’ve actually “battled” a brookie. On a three weight rod a lot of small fish are a minor fight but this was truly an effort. And as I grabbed my camera and brought this relative lunker into focus he thrashed right out of my hand and back into the water. Bummer. But what a fish. 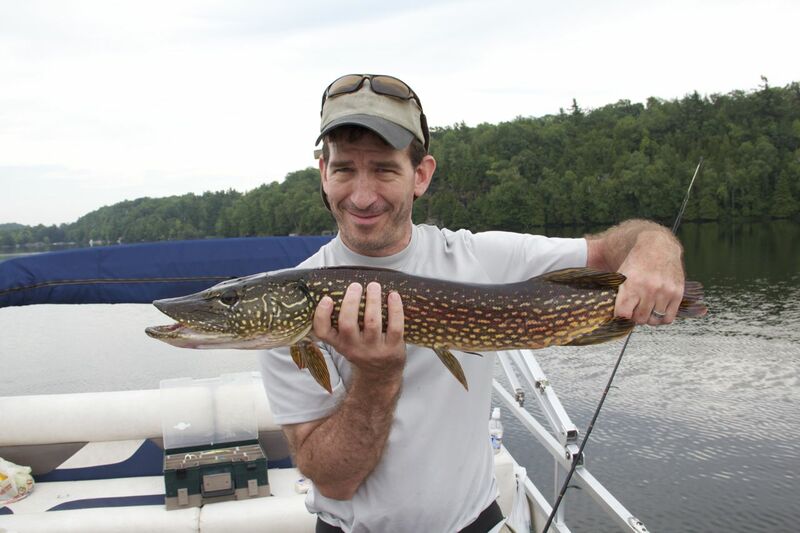 The summer also included the usual fare on the lake we visit — pickerel. Almost any time of day, these guys attack almost anything. With the hot weather we had to go deep to get them, and though some days were a little slow they are always willing to assassinate a Clouser minnow or a slowly drawn lure. But the big trip of the summer for me was to Gananoque Lake in Ontario, Canada. A couple friends let me tag along on a trip they take every summer (one of them for the past thirty years) to catch some big bass and pike. I had never caught a pike until I hauled in this guy. The big disappointment of this trip was being restricted to spin fishing only, except for several nice bluegills and a large crappie I caught off the dock of our cottage with my big old 9’6″ 8 wt Scott G series. When you’re on a boat with three other guys who don’t fly fish, the fly rod is not a popular idea. 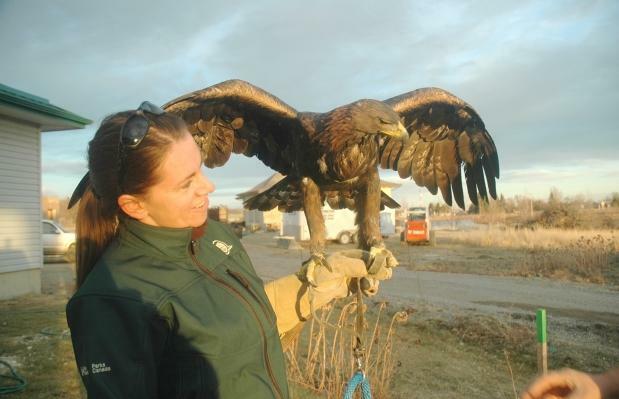 When I asked, the response was something like, “Sure you can fly fish. 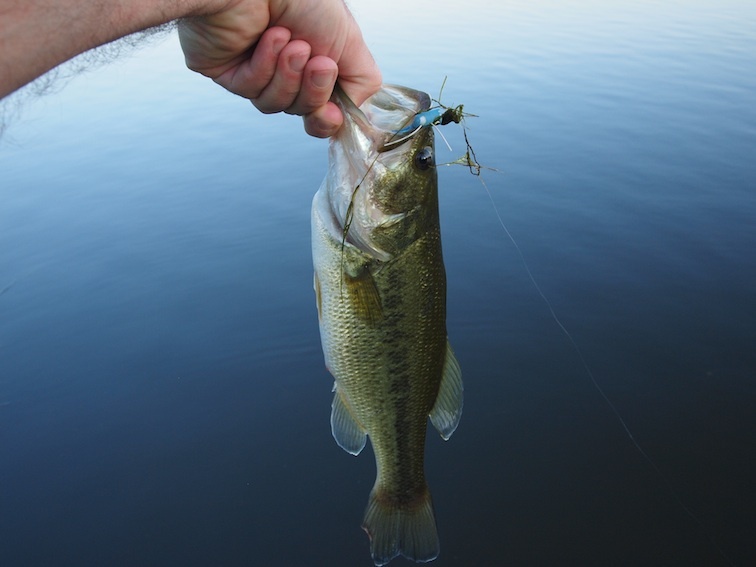 Get your own boat.” So it was the Ugly Stick with a 12″ wire leader and one super productive lure all day every day, the silver and blue Rattletrap. It was hot. Had to go deep. 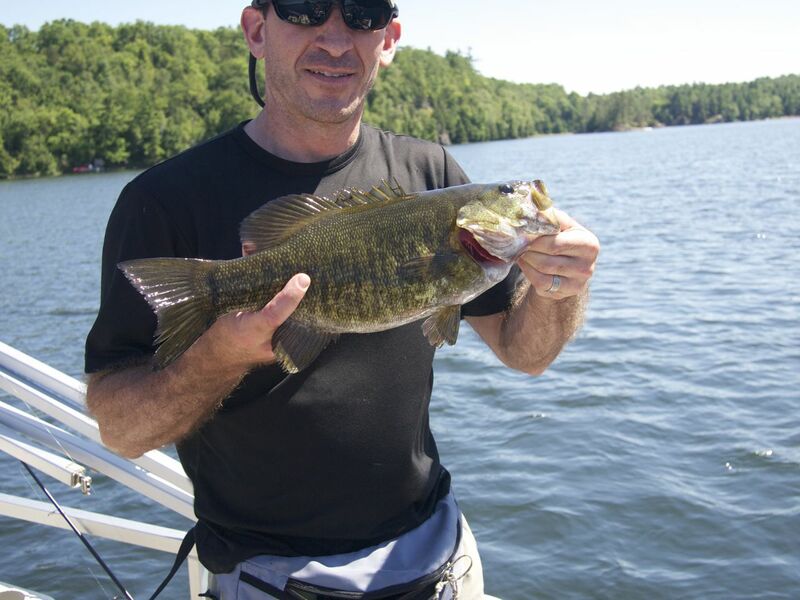 All that was great but the bass fishing on Gananoque Lake was the biggest surprise. These guys have never had huge success with smallmouth bass but three of us hooked some good sized bronze backs like the one pictured with yours truly. Certainly the biggest smallie I’ve ever landed, and by far the biggest fight of any fish I caught that week, big pike included. There is nothing — NOTHING — like catching a healthy smallmouth bass. That made the trip for me. Other highlights of the summer included a stop on the St. Lawrence river for more pike and a trip to Round Valley Reservoir and the South Branch of the Raritan in New Jersey. My dad and I hit both of these on another very hot day in late July. Skunked we were, but I did see some nice rainbows in the reservoir and I know the South Branch has a great population of browns, rainbows and brookies. I will definitely be back there this fall and probably this winter too. Hopefully I will get to Round Valley again, too, and in a boat since the shoreline fishing is a little limiting in that place. As for the incredibly small fish, that happened in late August on the North Fork of the Thornton River in Shenandoah National Park. I’ll come back to that. It’s impressive in its own way. Six pound Labrador Brook Trout! 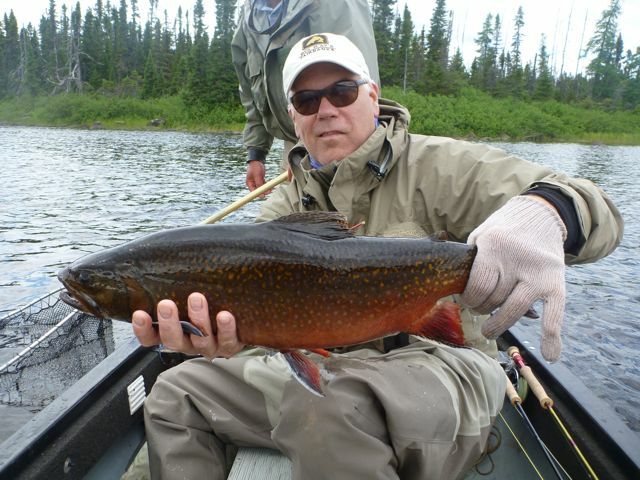 Orvis News has posted the second item about catching monster brook trout at Riverkeep Lodge on Atikonak Lake in Labrador. I mentioned part one last week. Ho hum, just shockingly huge brook trout that you’ll never see unless you go to northern Maine, Quebec or Labrador. 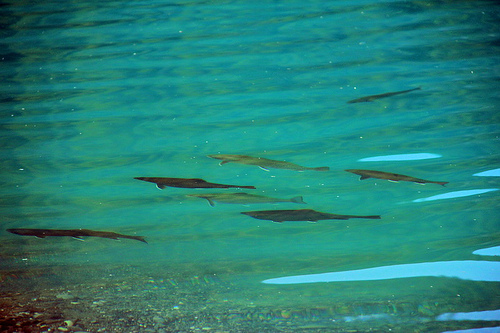 Orvis News has the first part of an article about fly fishing for monster brook trout on Atikonak Lake in Labrador. 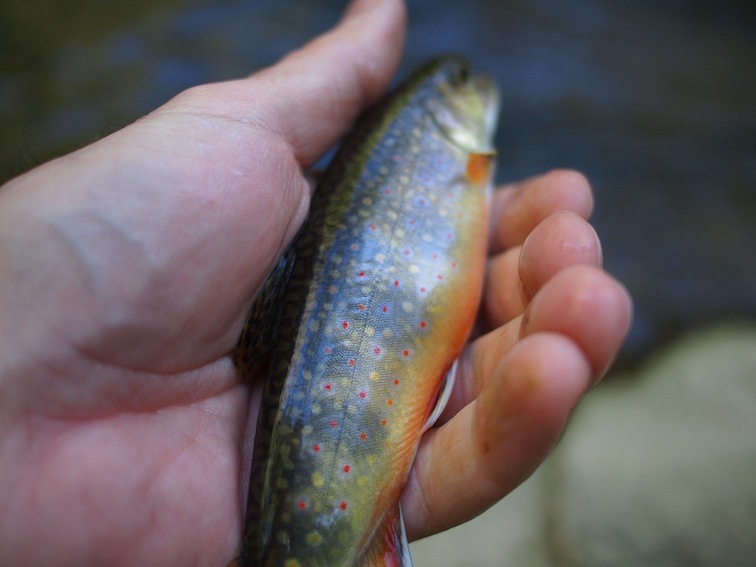 Writes the author, Erik Rickstad, “[S]ince I hail from the Land of the 10-Inch Trophy Squaretail (aka Vermont) I’m not yet acclimated to the absurdity of the place,” and goes on to describe brook trout that need two hands to hold. Like a normal sized fish, I guess. We’ve covered all that before. I think it was John Gierach who wrote that the objective may not be the size of the fish you catch but the smallest sized fish you’re happy to catch. Certainly true for those of us who love catching brookies. 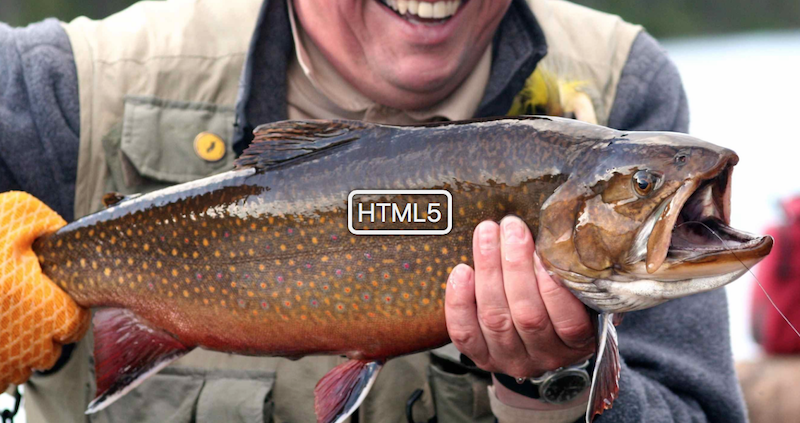 You cannot call this fish a “brookie,” though. Too cutesy for a brute like that.